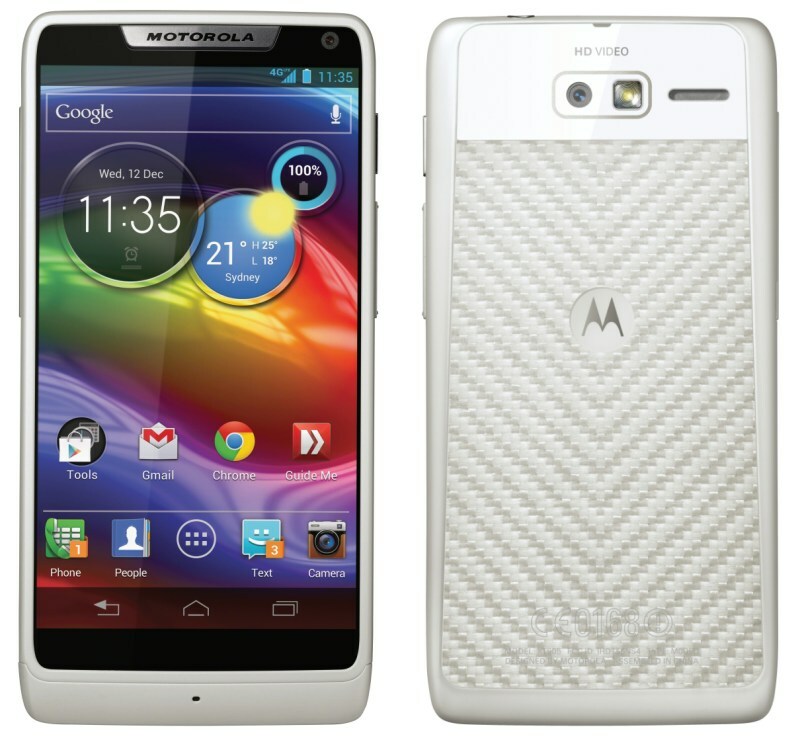 28/12/2012: Motorola to create a Razr M HD? More Galaxy S4 rumours and BB10 features leak! The HTC HD2 refuses to die and much more! Motorola to unleash a Razr M HD? Earlier this year Motorola's super thin Droid Razr and Droid Razr Maxx got HD buddies, an according to one of PhoneArena's anonymous sources the Razr M will soon have a HD brother too! It would seem fitting that the Razr M's refresh would maintain a mid-range price and so the suggested spec sheet does seem to fit in with that. Apparently the device will launch with Android 4.1, which will be updatable to Android 4.2 at some point after launch and on the spec front there will supposedly be a dual-core Snapdragon S4 Plus processor running the show on a 720p 4.5" screen, at that resolution the screen will have a Retina display matching 326ppi. To round the device off there will also supposedly be 1GB of RAM, 16GB of internal storage which is MicroSD expandable and a 3300MaH battery, although there was no mention of any camera specifications. Would you be interested in a device like this? If it could come in at a reasonable price point it could prove to be a very popular device, especially with the very good battery size! If you would like to see the full spec sheet given to PhoneArena then hit up the source link below! More Galaxy S4 rumours arrive suggesting an April launch date! Hot on the heels of the best render of the Galaxy S4, which we published yesterday and that is embedded above, we got wind today that there is another set of juicy rumours from Korea regarding Samsung's upcoming Galaxy S4. Today's rumours suggest that the device will be launching in April, which is to be expected given Samsung had to delay the launch of the S3 because of the discolouration of their blue cases last year. But, that's the mundane part of this rumour. The juicy bit is that the rumours suggest that the Galaxy S4 will come with an S-Pen and a 5" 1080p AMOLED display. The S-Pen rumour is the intriguing part because it suggests that this could be a merger of the Galaxy Note and the Galaxy S series. We find this hard to believe because the separation of sizes in the different ranges gives users exactly what they want depending on their preferences and a 'happy medium' might be enough to discourage both camps. Other than that it's expected that there will be Android Jelly Bean on board which will be powered by a quad-core Exynos 5440 chip which will be made using a 28nm process which uses high-K metal gate technology. There's mumblings of a using ARM's big.LITTLE process, but because that's very much still in it's infancy we don't think that one is very likely either. Just to conclude the rumours there is also mean to be a 13-megapixel rear auto-focus camera and the body of the phone is expected to be 9.2mm thick to house that S-Pen! We think the screen size and quality are quite likely as is the camera spec, but other than that we find it hard to believe Samsung would merge the Note and S series and we're not convinced the S-Pen is ready for the big time either! What do you think? Let us know in the comments below! There's been some controversy on YouTube view numbers on music videos being cut today. At the moment there's some ambiguity whether the drop in numbers is down to Google cutting the figures because they were artificially inflated by record labels or because songs have been transferred between accounts. We'll let you know what's going on when everything becomes clearer in the next few days! There's also suggestions that Instagram lost a quarter of their users after last weeks Terms of Service scandal. We're not sure exactly whether this is true or whether data has been affected by the Christmas holidays, but again The Verge have offered some insight on the matter. Sony has announced that they are discontinuing the Playstation 2 in Japan, but don't worry Sony isn't going to cut off your PS3 yet, as they pledged they would support it through to 2015. The PS3 launched in Japan in November of 2006 so that would mean the device would have been supported for nine years, which given Sony's record with updates for their Android devices looks positively stellar! According to Reuters China has unveiled tighter Internet controls which now make it legal to delete posts or pages "which are deemed to contain "illegal" information and requiring service providers to hand over such information to the authorities for punishment." Given China's reputation for the 'Great Firewall of China' it's not surprising that the country is cracking down on this and the use of VPN's to bypass their extensive censorship programme! Sprint is currently offering you a $100 off a new tablet from them if you take a phone contract. You can redeem your voucher on an iPad Mini, standard iPad, Galaxy Tab 2 10.1 or a Motorola Xoom! You can check out the full details here! RIM's upcoming BB10 features seem to be leaking left, right and centre at the moment. We've heard about Blackberry Remember which will act as a task app, BBM video for face to face video calls and that would go very nicely with BBM Voice which is already out in the wild! Are you excited for BB10? We certainly can't wait to see what Canada's finest come up with! Fijitsu CEO, Masami Yamamoto, confirmed that the company would be bringing the Raku-Raku Smartphone, an easy to use device targeted at the older population, to the U.S. and Europe in the near future. Although at the moment there's no word on how much it'll cost, but the device is available in Japan at the moment with a 4-inch 800x480 display, 1.4GHz Snapdragon S2 processor and a modified version of Android 4.0 Ice Cream Sandwich. It turns out that RIM's undisclosed first payment to Nokia came in at a whopping $65 million or 50 million Euros! We're not currently sure what the ongoing payments will be but analysts expect it to be somewhere between $2 and $5! Apple has received a slap on the wrists from China which ran to the tune of $165,000 because they allegedly published books from Chinese authors without their copyright permissions! We're not sure of the details of this case because it was in China and it is all rather hush-hush, but if there's any more details we will let you know! 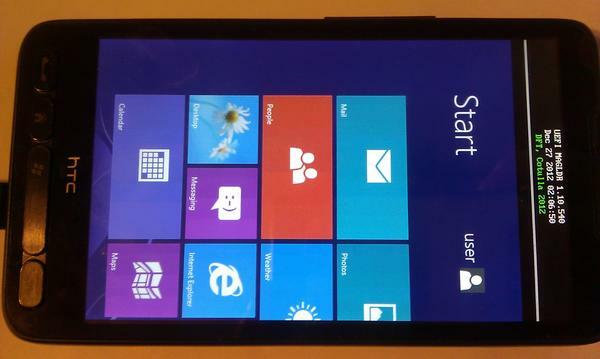 And finally, it seems HTC's eternal HD2 now has the ability to run Windows RT! A post on Twitter from CotullaCode shows the software up and running! The image and tweet are embedded below for your viewing pleasure! 21/12/2012: Gangnam Style reaches the 1billion milestone, Galaxy S3's randomly dying, iOS 6.0.2 issues and much more! CES 2013: Lenovo launch a barrage of new smartphones, including the stunning K900! Did Samsung really dilute their product line too much? Archos announce the GamePad and the 80XS.